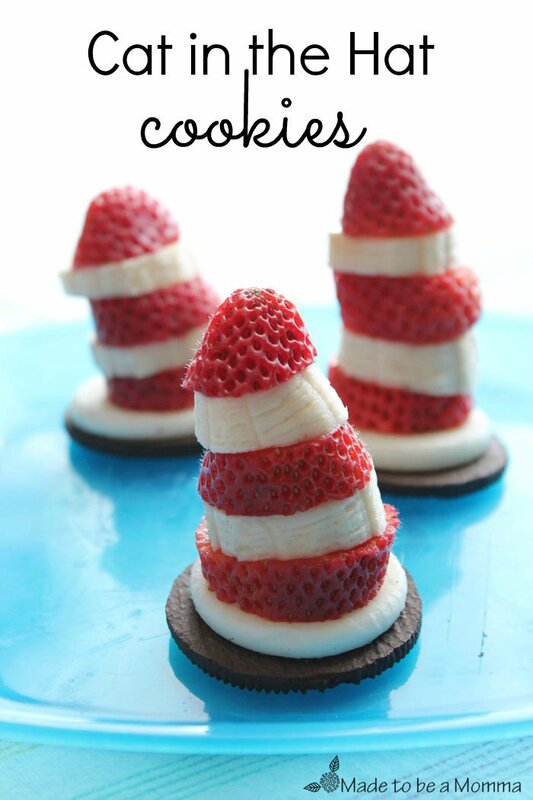 This week is Seuss week and I had to share a quick and easy treat to go along with the fun. 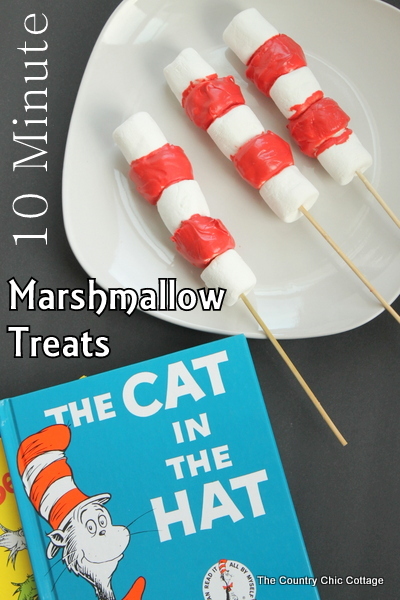 My Dr. Seuss Cat in the Hat marshmallow treats only take 10 minute and have two ingredients. It doesn’t get much better than a recipe like that. 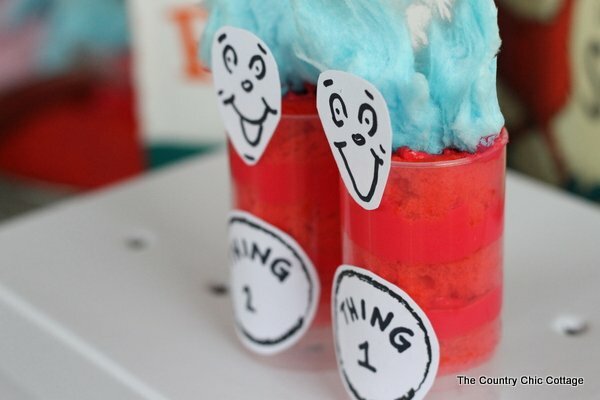 If you have missed any of the Dr. Seuss Craft Lightning fun this week, be sure to check out the round up from day 1, day 2, day 3, and day 4. 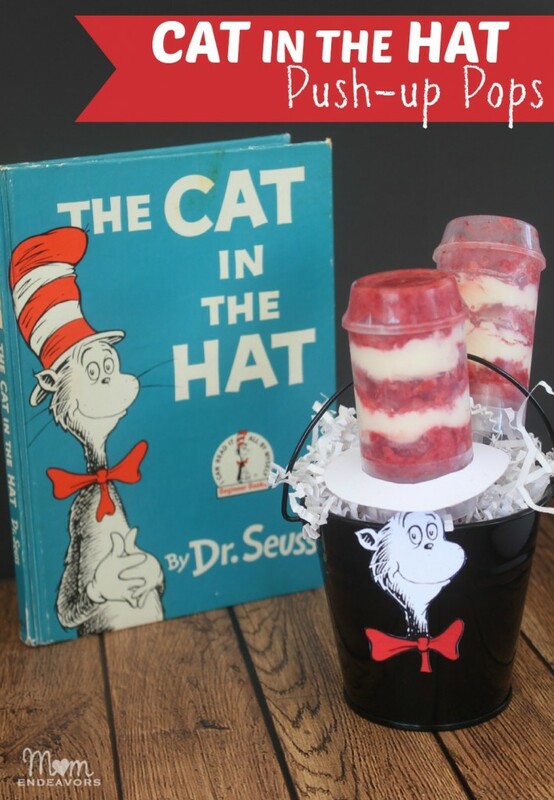 Plus if you want a chance to be featured right here on Seuss crafts week, be sure to link up to our Craft Lightning linky party. Now for these I-can’t-believe-it-it-so-easy treats. 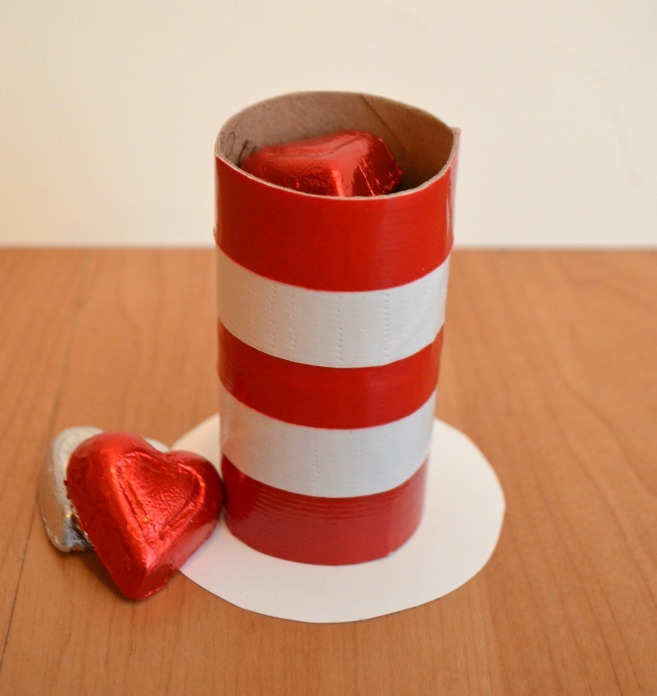 Grab some marshmallows and some red candy coating (you can usually find this in the craft section of your store). Melt the candy coating according to the package directions. Skewer one plain marshmallow. 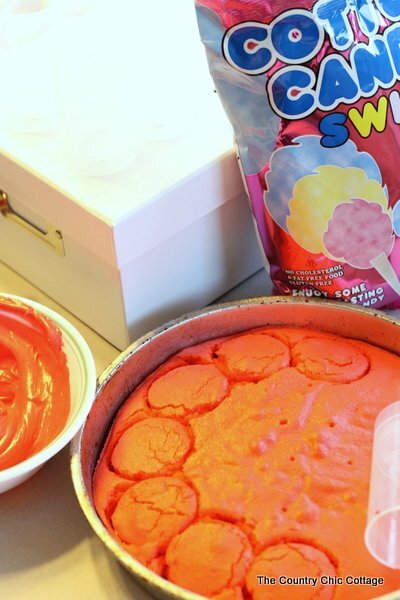 Roll the next marshmallow in red candy coating and add it to the skewer. Then add a plain marshmallow and repeat. You get the idea right? Allow the candy coating to harden before serving or just add them to a plate and dive right in. Not much of a recipe right? We will count it as one since they are edible. 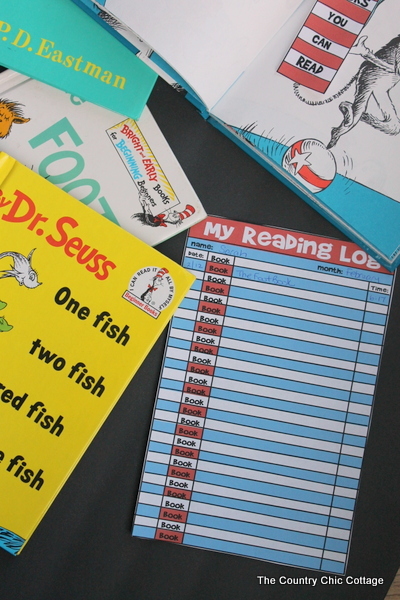 Celebrate the birthday of Dr. Seuss in style this year. 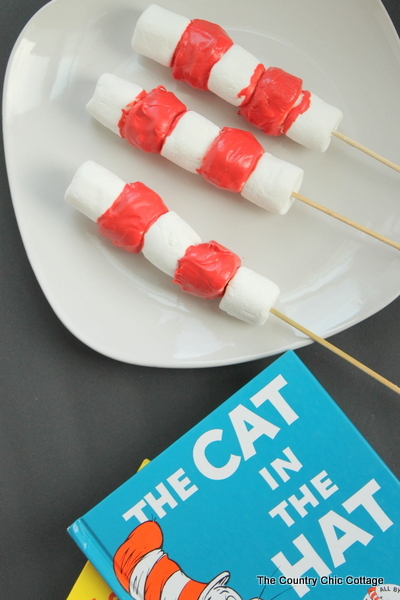 Make a batch of these Dr. Seuss Cat in the Hat Marshmallow treats for Read Across America day this year. 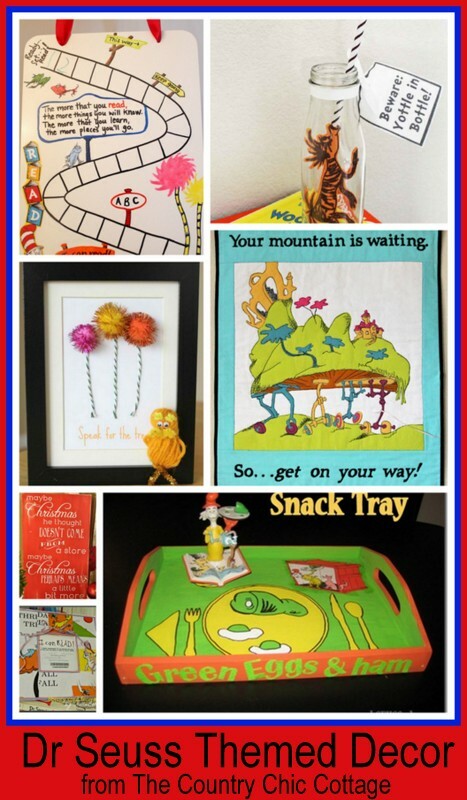 For these Dr. Seuss ideas and more, be sure to visit our Dr. Seuss Pinterest board. 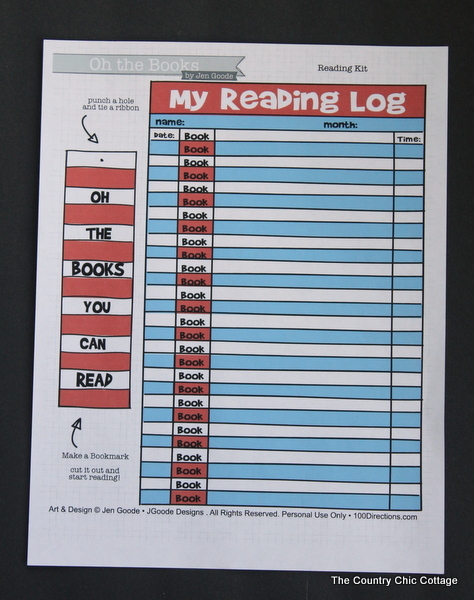 Next project for Seuss week is this amazing Seuss bookmark and reading log printable. 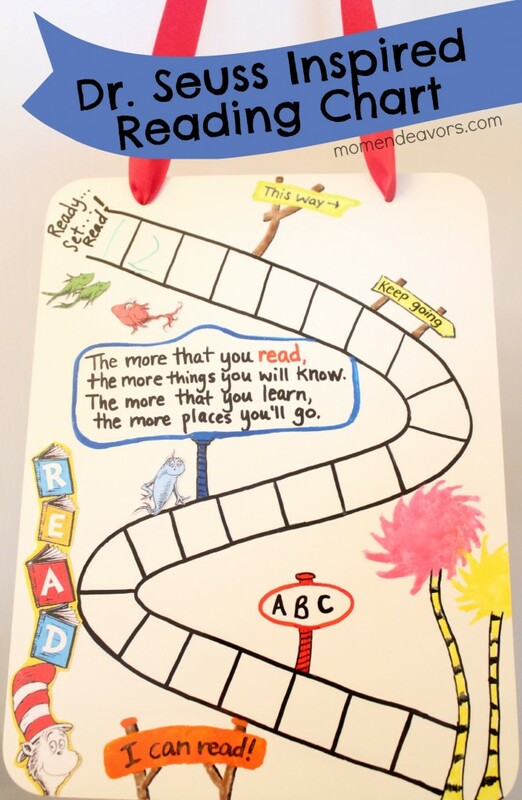 A fun Seuss inspired printable for your little one or classroom. 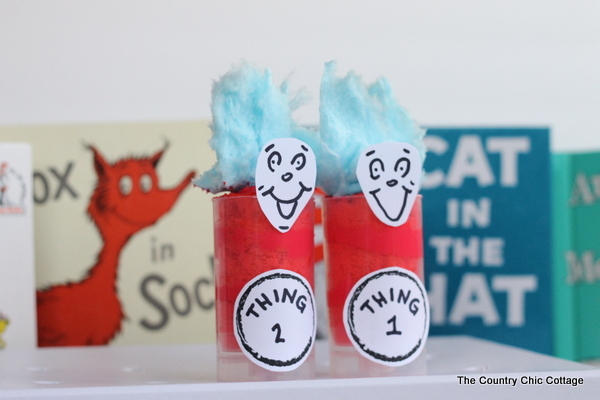 In case you are just getting here for the first time, this week is Dr. Seuss week for Craft Lightning (crafts that take 15 minutes or less to complete). 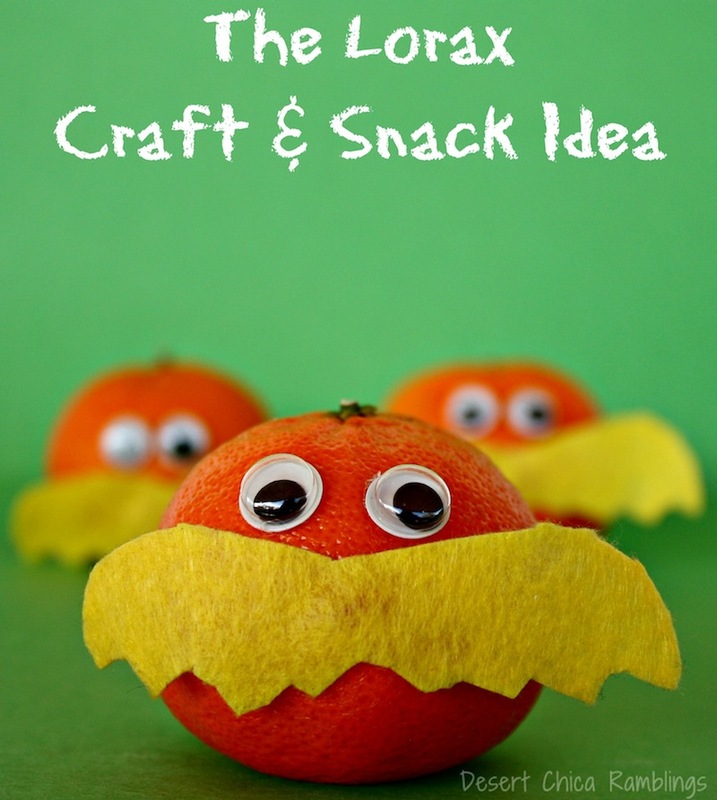 Each morning I post an original tutorial and each afternoon I round up fun crafts from our CL partners. If you have a project that you would like featured, be sure to link it up to our Craft Lightning linky party. And if you have missed any of the fun be sure to catch up with the round ups from day 1, day 2, day 3, and day 4. 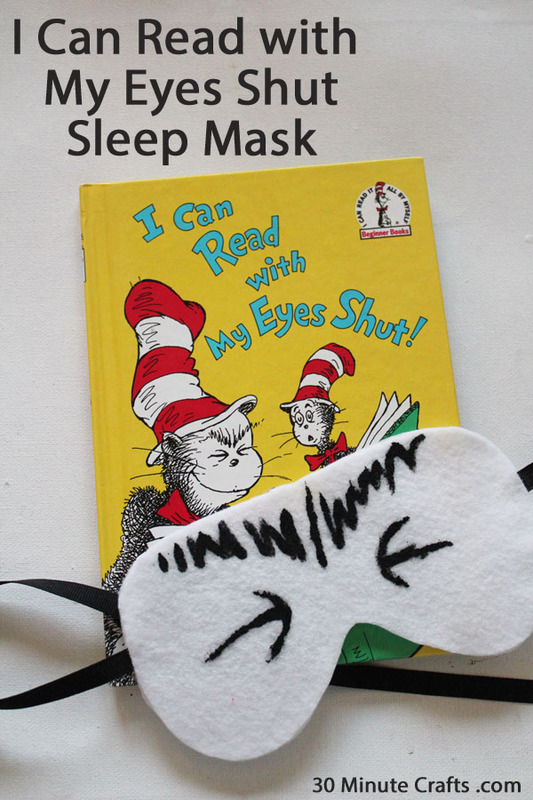 Or you can find them all and more on our Dr. Seuss Pinterest board. 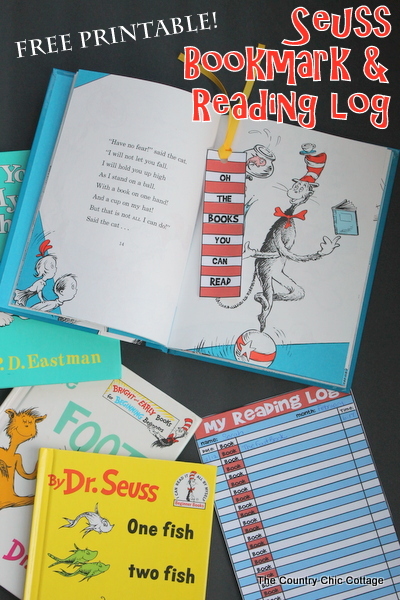 Now for a fun free printable Seuss bookmark and reading log. 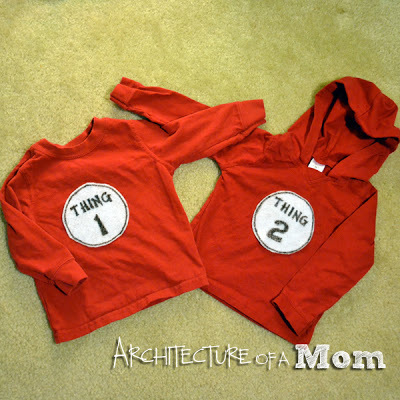 Click here to get the free printable and it will come out looking like the picture below. 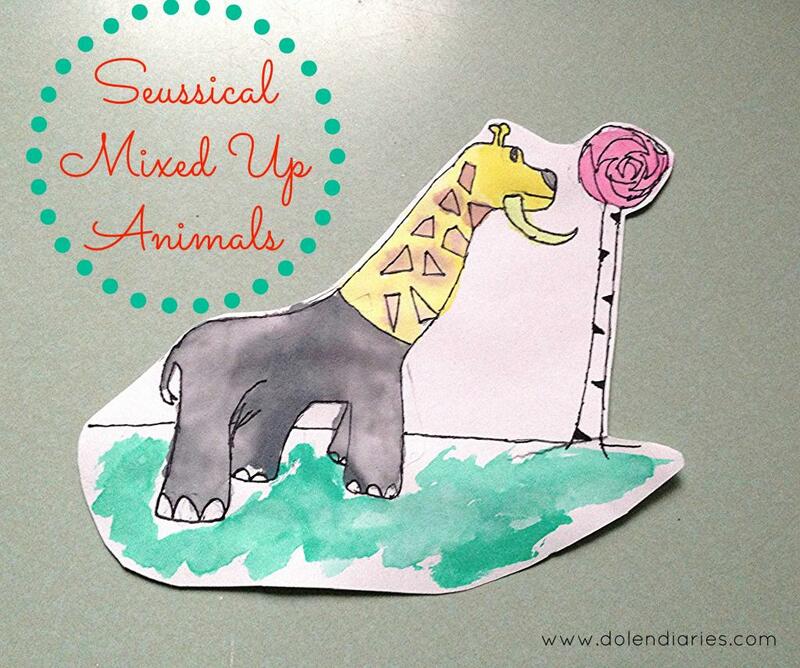 My fabulous monthly contributor Jen Goode from 100 Directions designed this one for me. She does amazing work right? Just cut out your bookmark as indicated and punch a hole in the top. String through the color ribbon of your choice and you are ready to mark your place in the book of your choice. 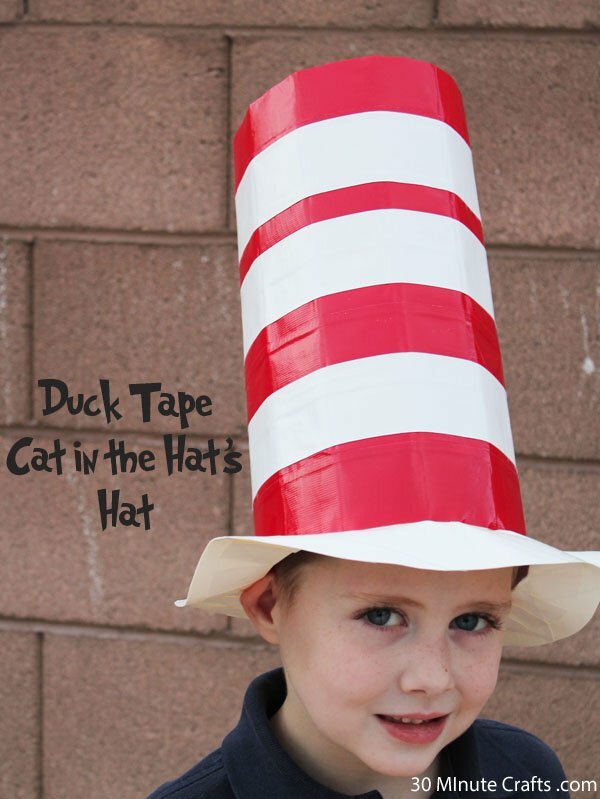 Cat in the Hat anyone? 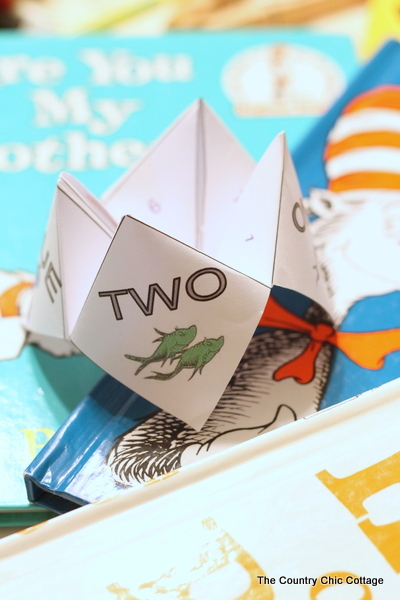 Then use your scissors to cut around the reading log for a fun way to keep up with the books you read for Read Across America Day. 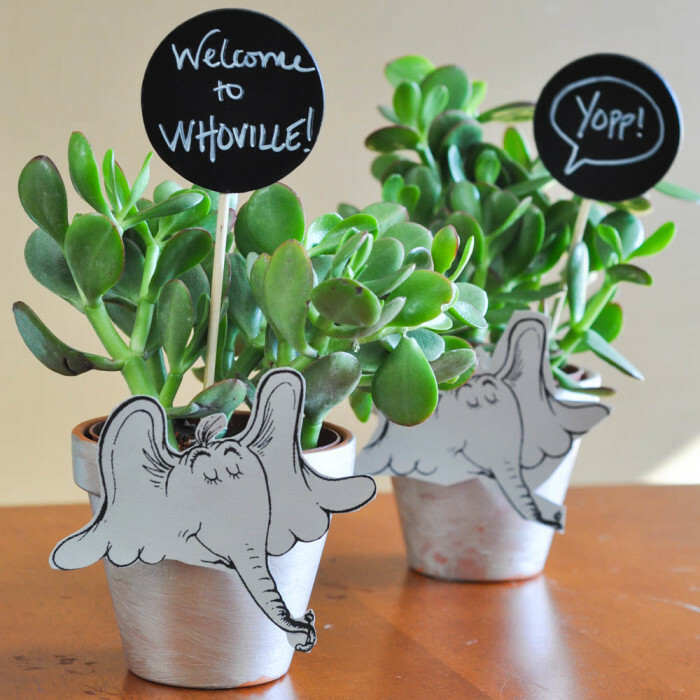 I hope you enjoy these fun free printables as much as we do. 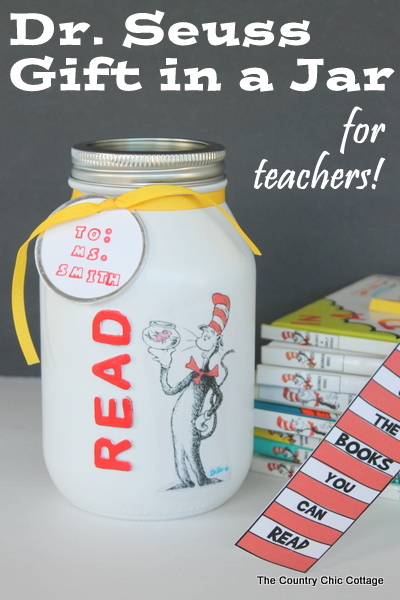 Come back tomorrow as I have a fun idea for gifting those bookmarks to your favorite teacher. 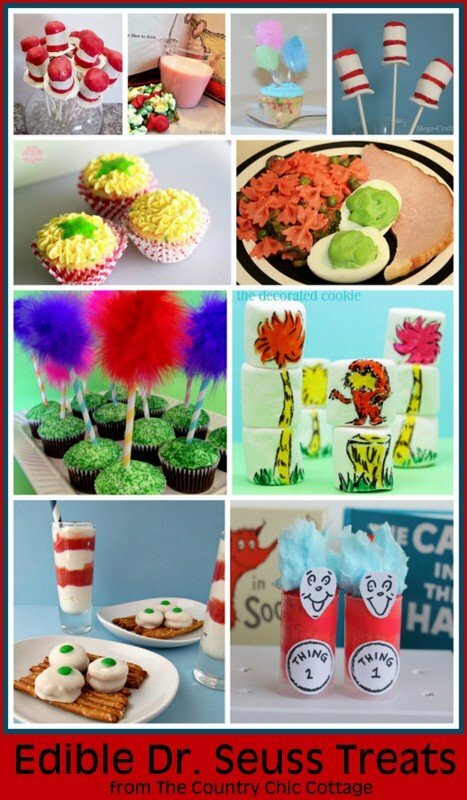 Don’t miss any of the fun and follow along with our Dr. Seuss Pinterest Board for these ideas and more. 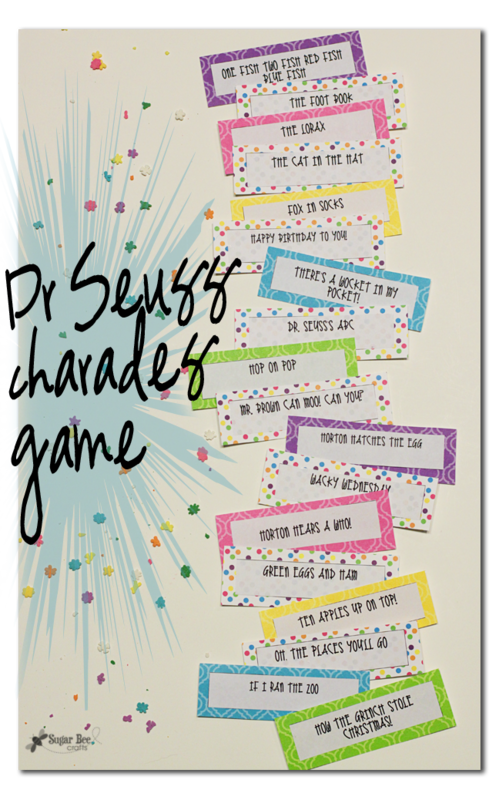 Print the Seuss bookmark and reading log printable then use them for some Dr. Seuss fun this March 2nd. 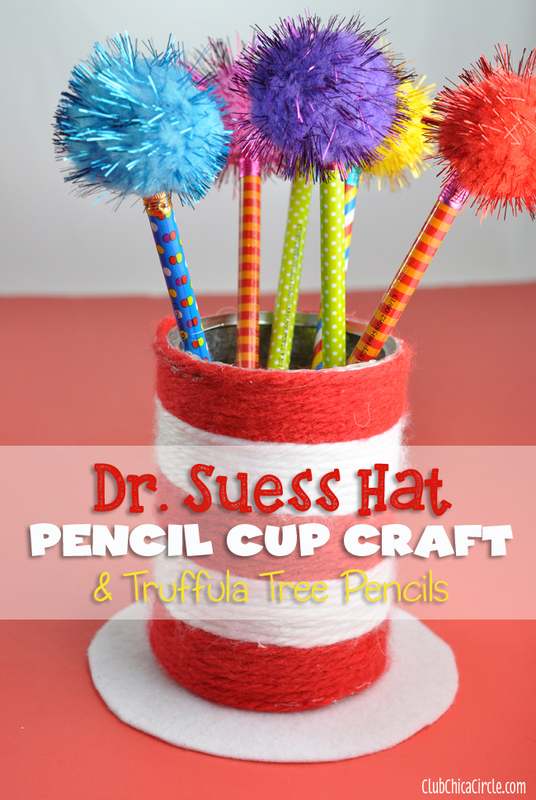 It is Craft Lightning week and this time we are having a week of Dr. Seuss crafts. 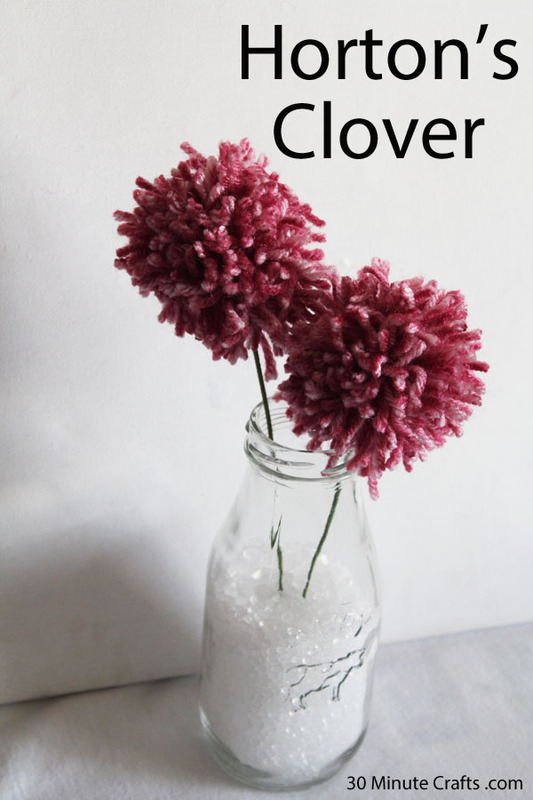 If you are new around here, Craft Lightning is where I partner with 30 Minute Crafts for a week of quick and easy crafts that take 15 minutes or less. Each morning I will post a fun original craft tutorial and each afternoon I will post a round up with features from our series partners. 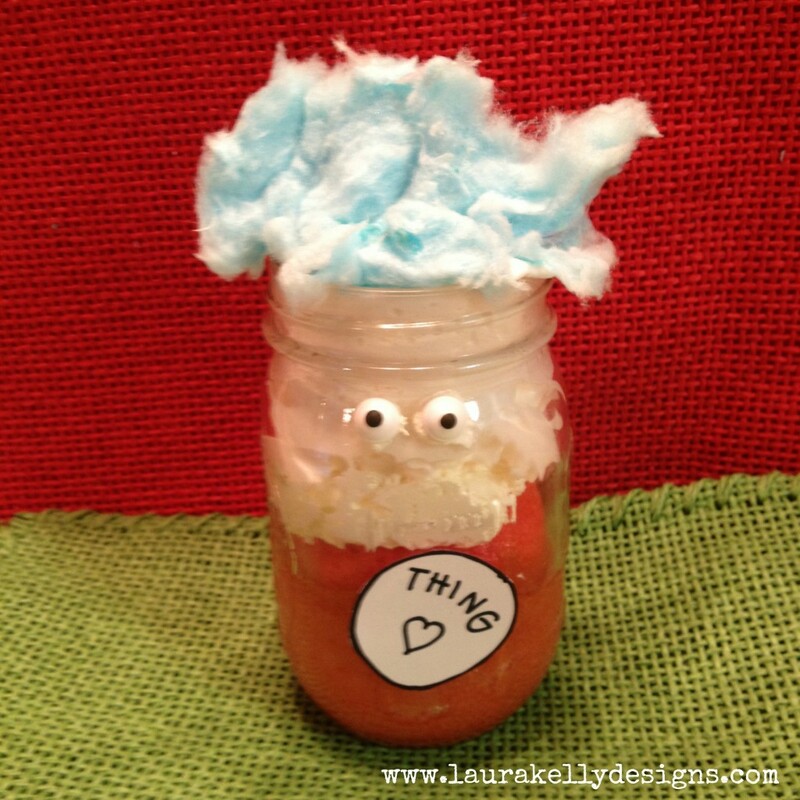 If you want a chance to be featured this week, be sure to link up to our Craft Lightning linky party. If you have missed any of the fun this week, be sure to visit the round ups from day 1, day 2, day 3, and day 4. 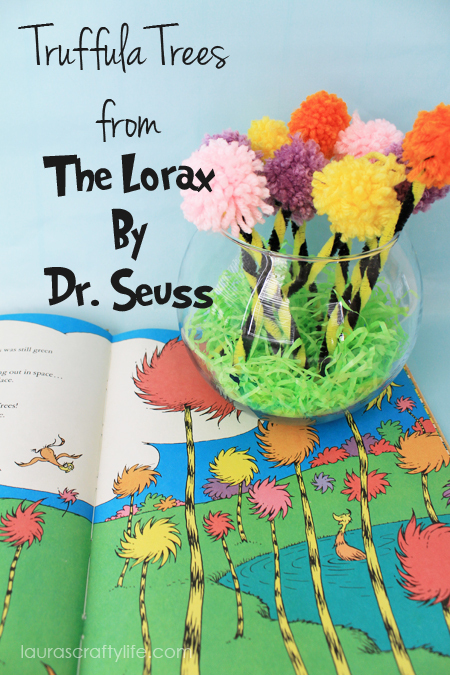 Or you can find them all and more on our Dr. Seuss Pinterest board. 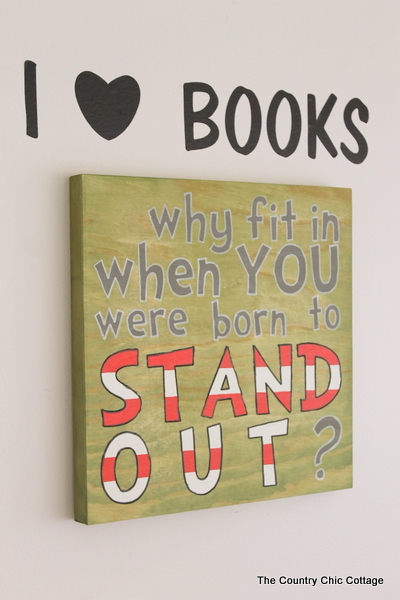 My first project this week is this great Dr. Seuss quote sign. 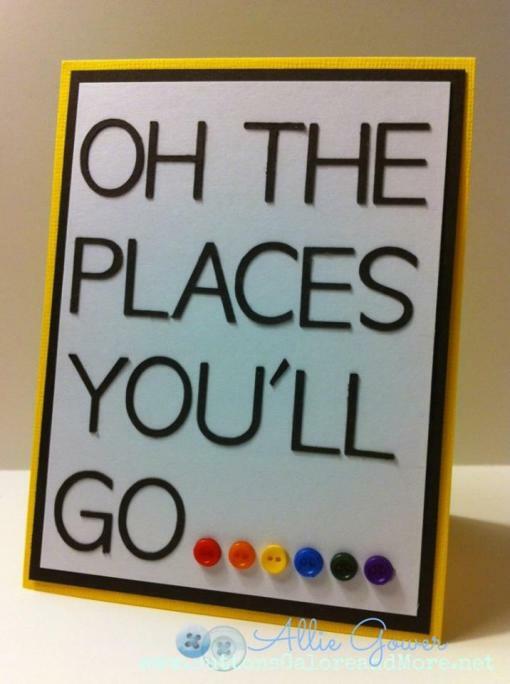 Start with a 12 x 12 wood sign and some RIT dye in the color of your choice. RIT dye? Yep we are going to use it to stain the wood. 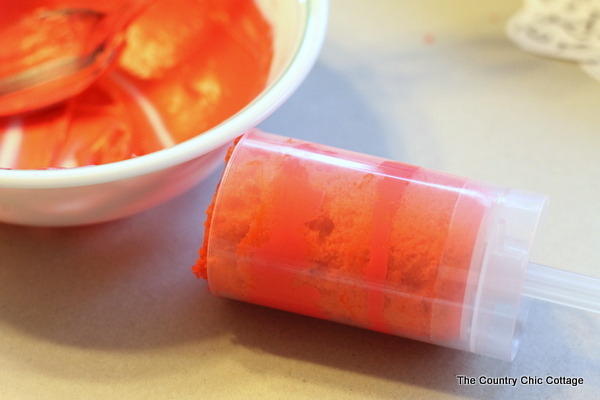 Just pour 1/2 a cup of dye and 1 cup of hot water into a bowl. 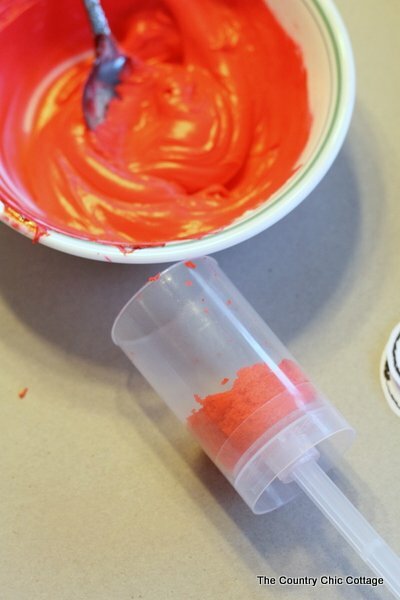 Paint that mixture on your sign using a foam brush. Be sure to wear gloves and protect your surfaces well when working with dye. 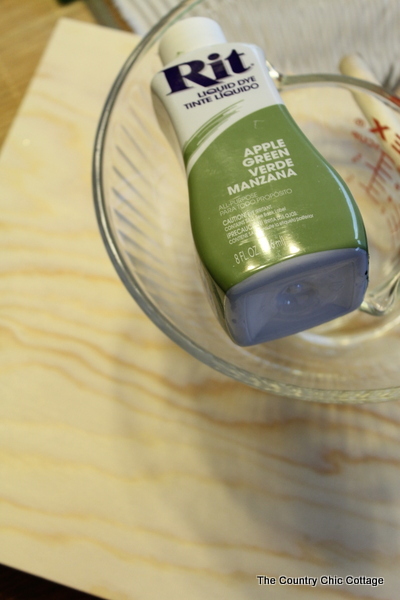 Wipe off any excess dye after about 2 minutes and you have a perfectly stained board in the color of your choice. Allow the board to dry completely before continuing. My stencil is a custom stencil from Right Side Stuff. They actually sent me this stencil free of charge but I was not paid or perked in any other way. I will say that the results with this stencil were great and I would highly recommend them. If you want to make this sign, just drop them an email and tell them you want this stencil and she will make it for you! You will also need Americana multi surface paint in lipstick, cottonball, and steel grey. 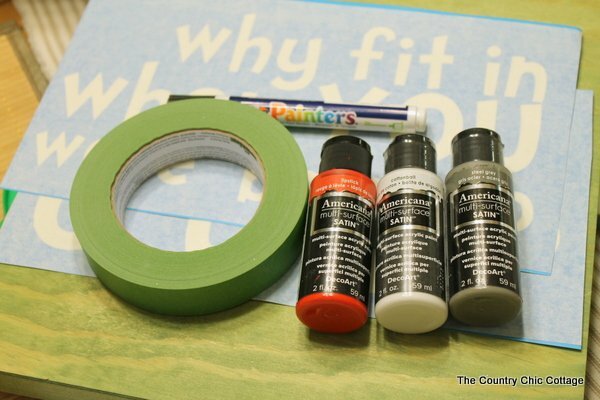 Plus painter’s tape and paint pens in black and white. 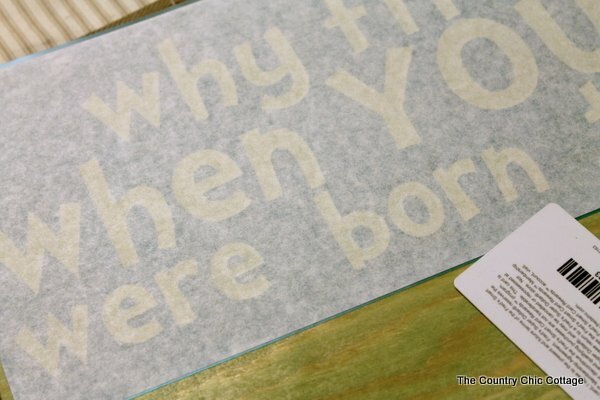 Directions come with your stencil but basically you remove the backing paper and apply to your surface using a squeegee or shopper’s card. 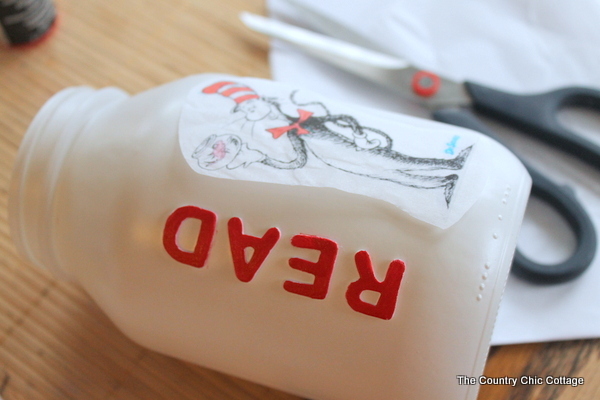 Then remove the transfer paper and you can then paint your letters. My letters took 2 – 3 coats each and I left the stencil on until the letters were adequately painted. These stencils leave amazing clear lines with little to no bleed through. I was very impressed with the quality of the paint job I was able to achieve with them. NOTE: the stencil comes in 2 halves so I did the top half and then the bottom half. When painting the bottom half, I did the question mark in grey and masked it off for the other portions. 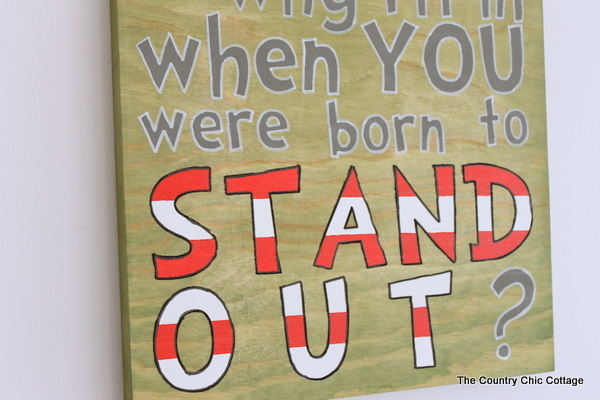 I then painted the “stand out” in white with three coats and allowed to dry. 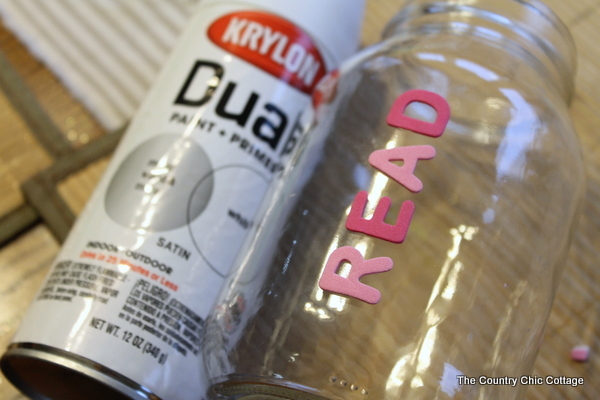 Then place the painter’s tape over the words as shown below and paint that area in red. 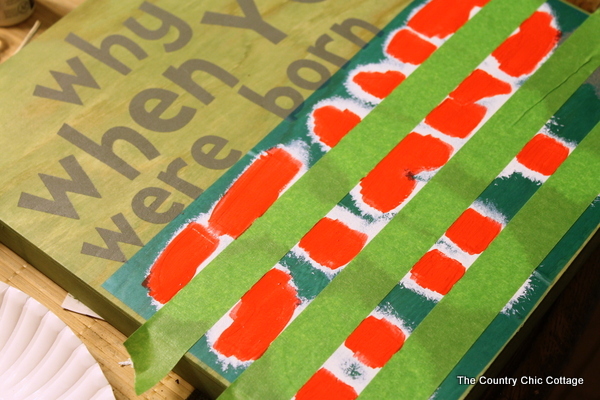 Once complete, remove tape and stencil. NOTE: I found these to be one time use only stencils as I was not able to get them off in one piece. 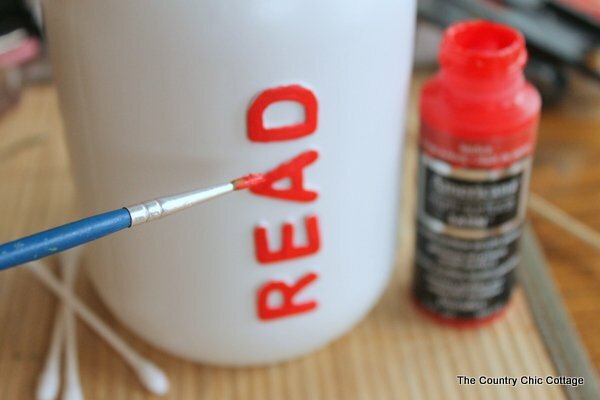 After your project is painted and completely dry, you can then go around the outside of the letters with a paint pen. This really made the entire sign pop. I used a black and white paint pen as shown below. Once everything has been allowed to dry, use a matte spray sealer over the entire project for protection. 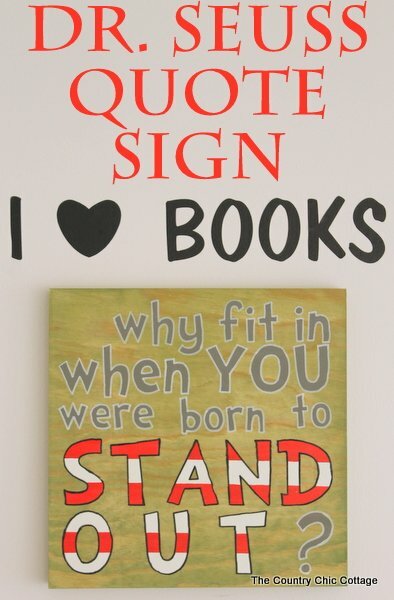 Then you are ready to hang in the room of your choice. 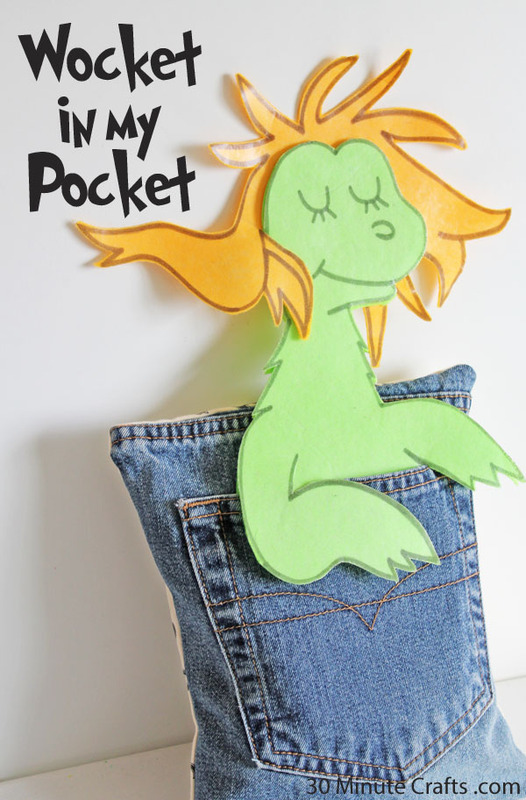 This would make a wonderful addition to any kids room. I added the sign to my I Love Books Bathroom and it is just perfect in here. 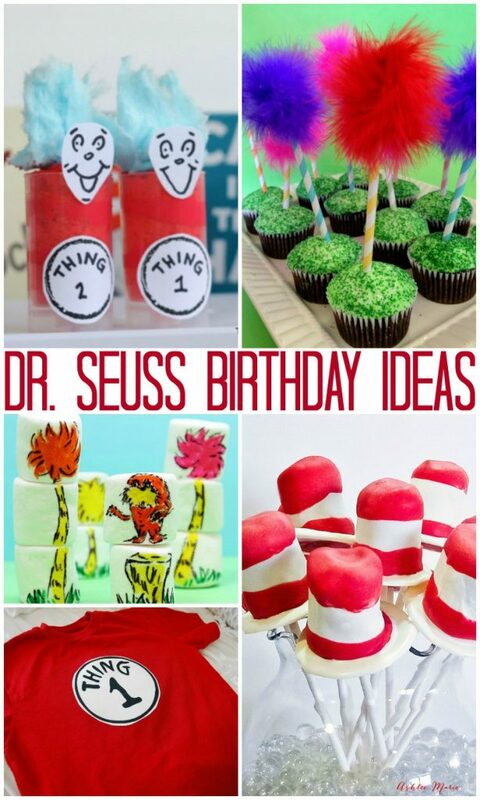 Are you going to celebrate the birthday of Dr. Seuss? 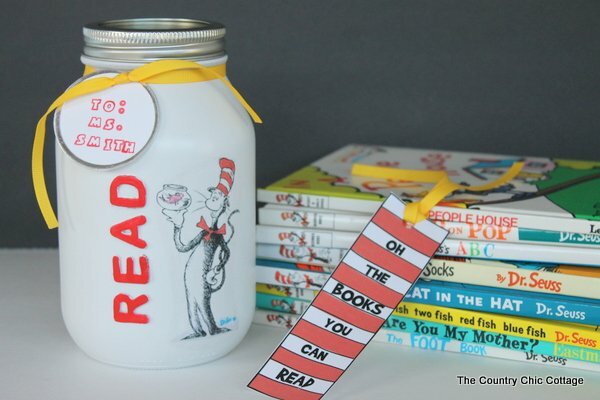 Be sure to stay tuned all week as we give you tons of craft projects to complete with your kids to get ready for Read Across America day. 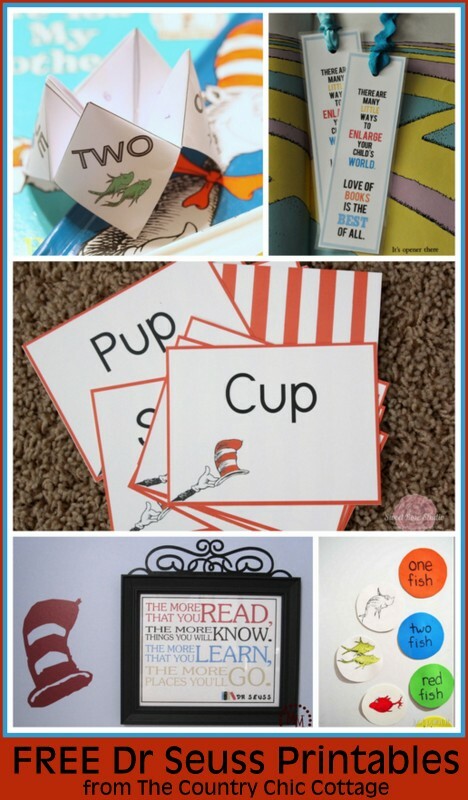 A few of my friends had some Dr. Seuss crafts that did not fit into our “15 Minute Craft” week. So I gathered them up here so you can visit those as well! 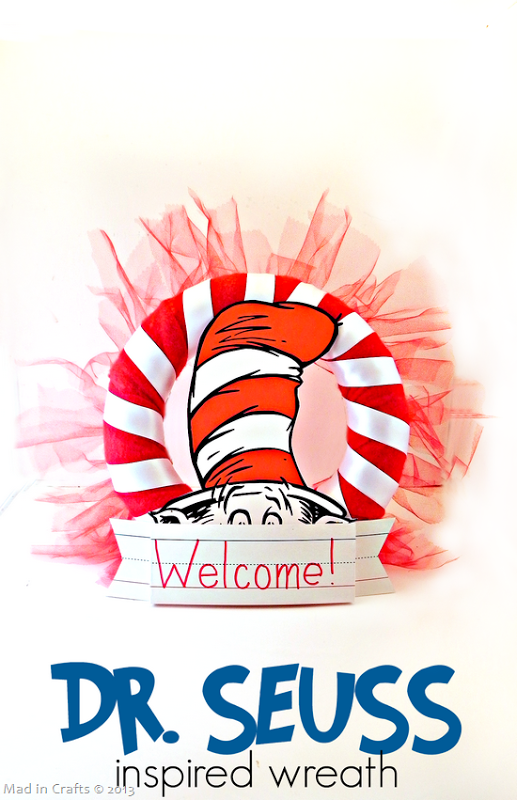 For even more Seuss crafts, be sure to check out our Dr. Seuss crafts Pinterest board. 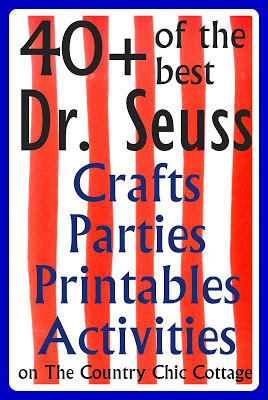 I hope you also enjoyed my Dr. Seuss quote sign and will make one for your home. 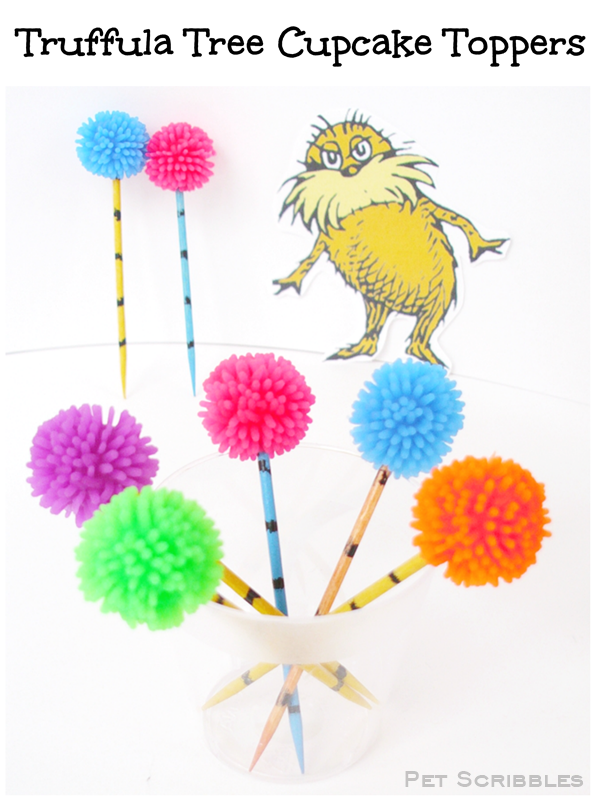 Stay tuned all week for lots of quick and easy Dr. Seuss crafts. Product for this tutorial was given to me for the purpose of using it on this blog. However all opinions and projects are my own. 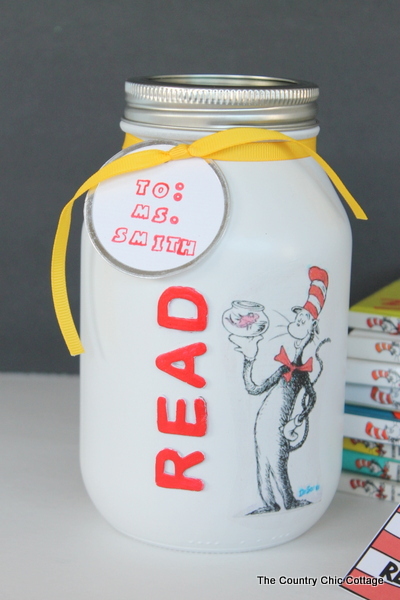 Link up YOUR Dr. Seuss Projects! 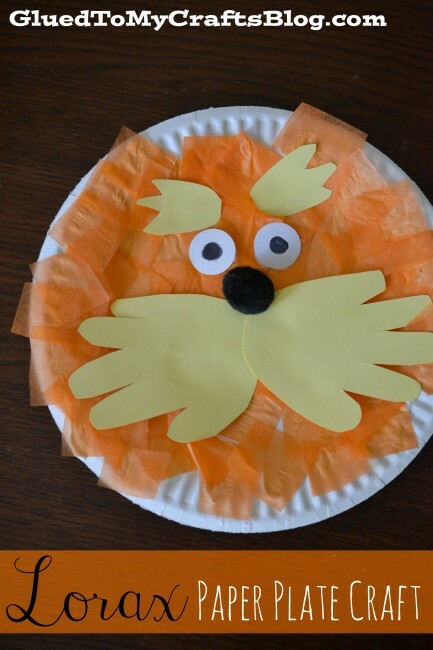 This week we are once again having Craft Lightning and this time we are doing Dr. Seuss crafts. 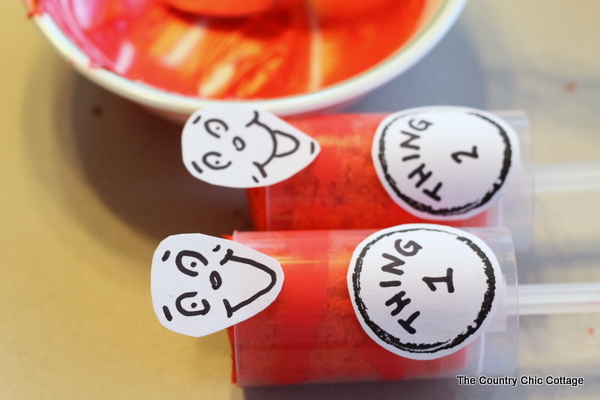 I have a great week of quick and easy crafts planned for you. 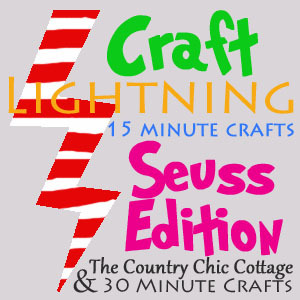 If you are new here, Craft Lightning is crafts that can be completed in 15 minutes or less excluding dry time. 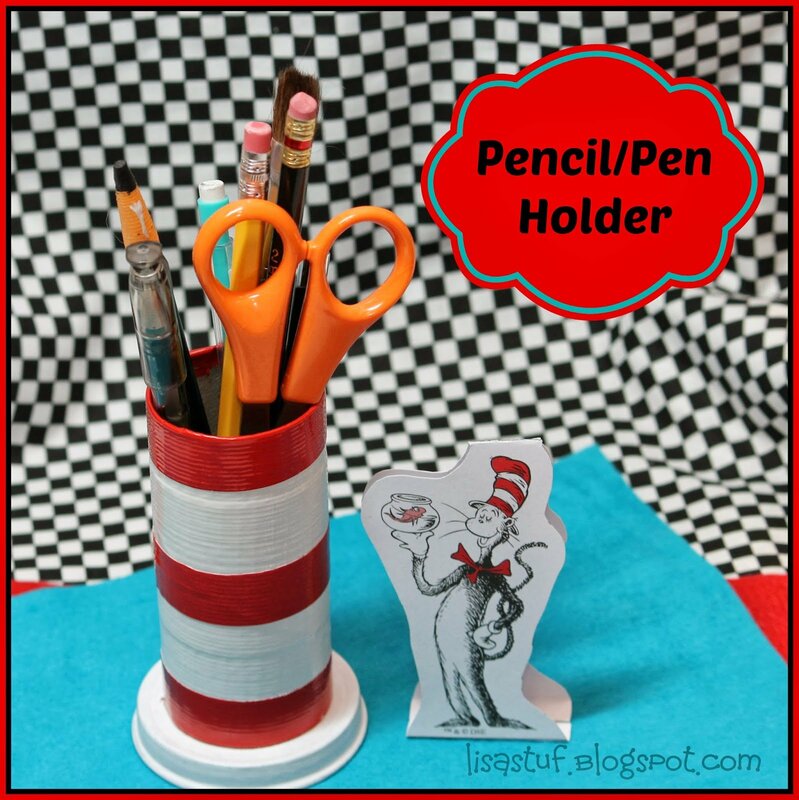 Link up your quick Dr. Seuss crafts below and you have a chance to be featured here one day this week. 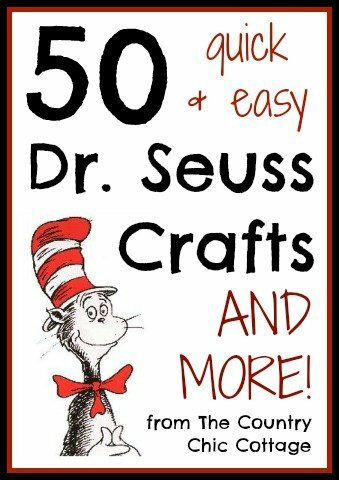 See each afternoon myself and 30 Minute Crafts will have a featured posts with even more Dr. Seuss crafts from our blog partners. 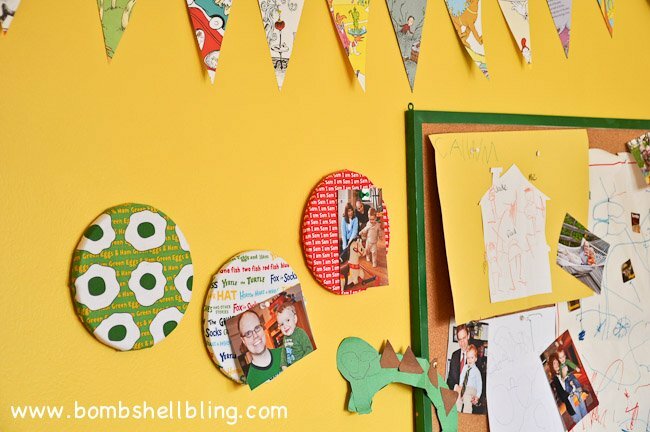 Plus each day I will feature a craft from the linky party below. Sounds great right? 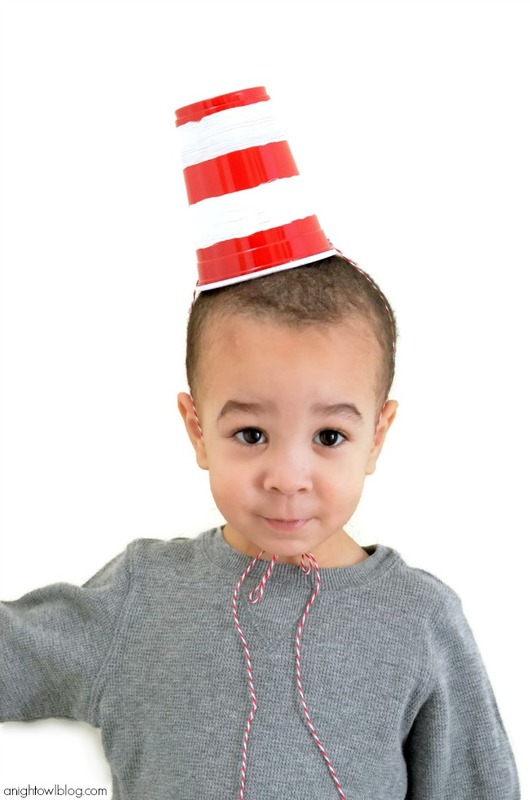 Link em up!If you have missed any of the Seuss fun around here this week, be sure to check out the round ups from day 1, day 2, day 3, and day 4. 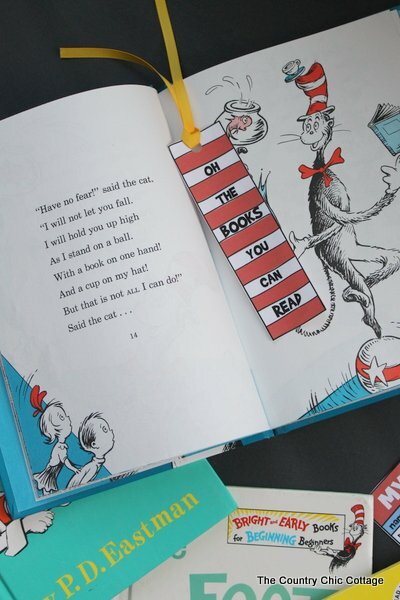 Or you can find them all and more on our Dr. Seuss Pinterest board. 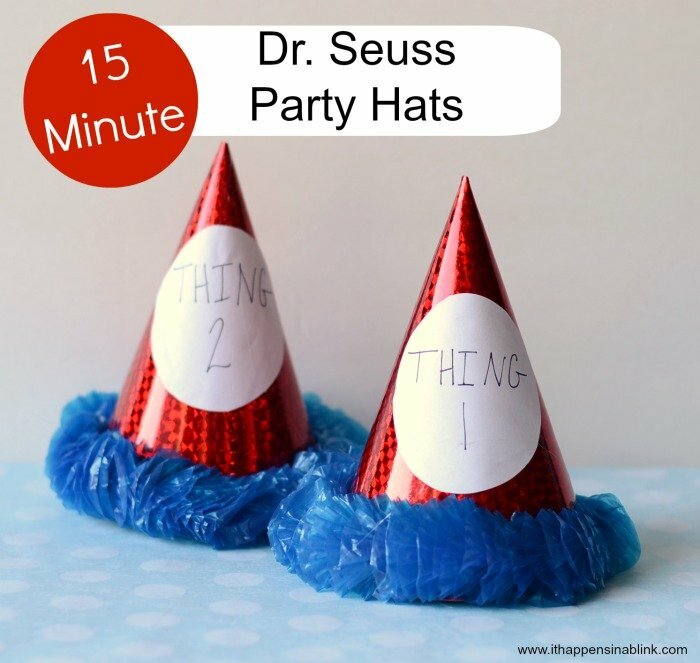 Remember this linky is for Dr. Seuss projects that take 15 minutes or less to complete (excluding dry time). Then come back each day to see if you are featured and to see all of the amazing crafts that we have in store for you this week. 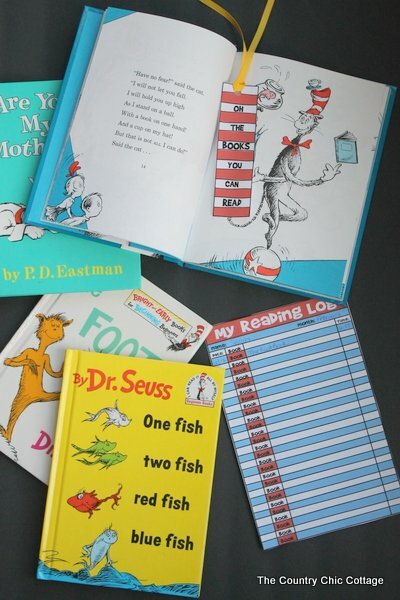 The birthday of the wonderful Dr. Seuss is coming up on March 2nd. How will you celebrate? Need ideas for the occasion. 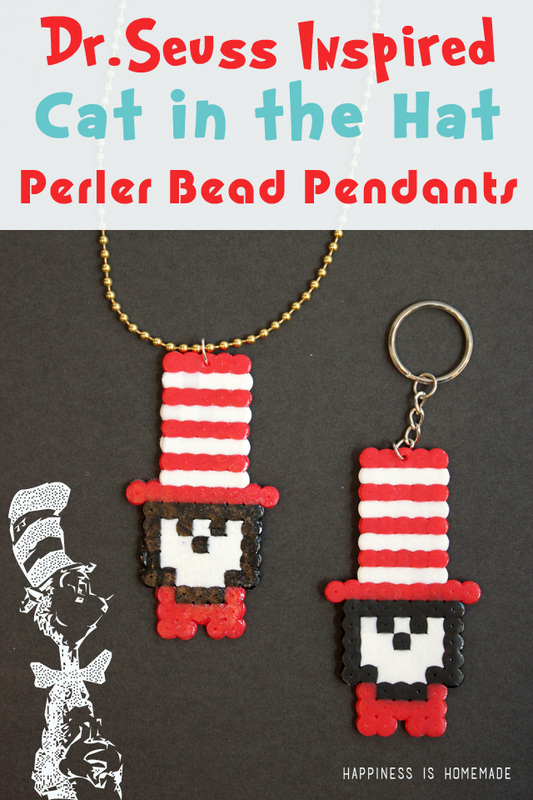 Maybe a treat to take to a party at school? 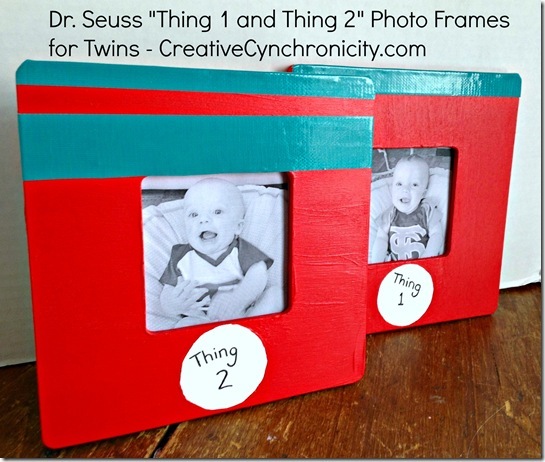 A craft to make with your child? 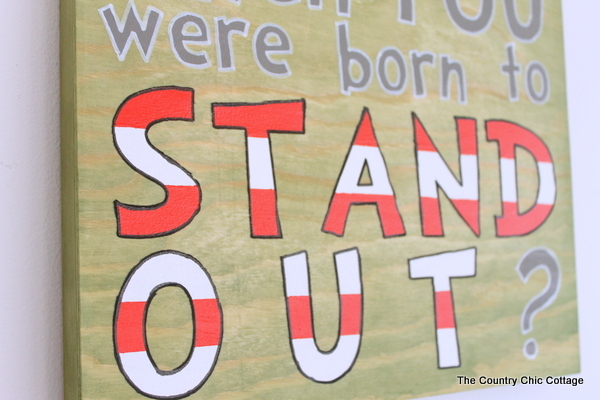 A free printable for an easy way to celebrate? 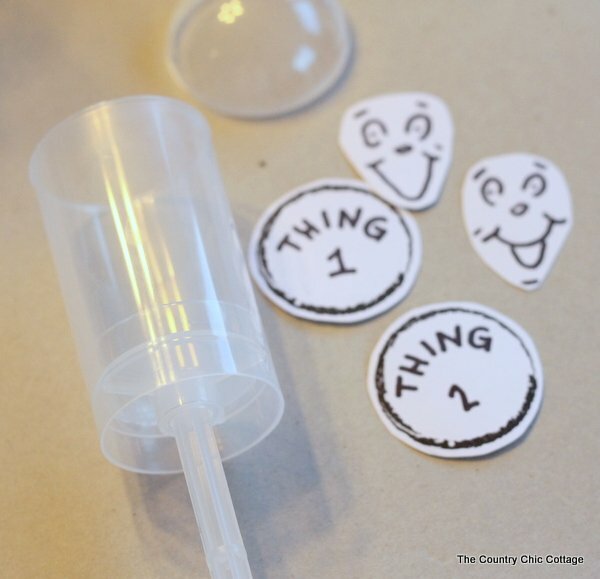 Maybe an activity or some party ideas? I have them all in one list. 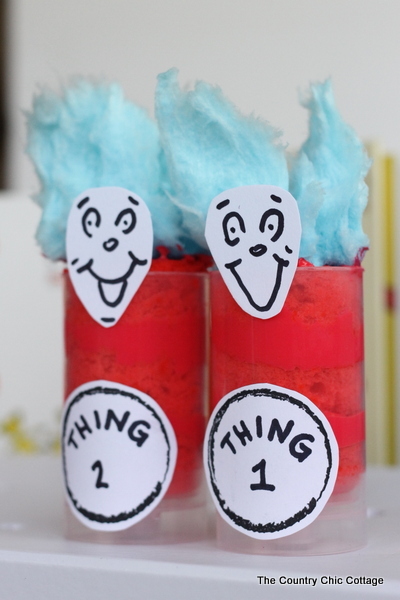 So hop around this round up over over 40 of the best Dr. Seuss Birthday Ideas. I am going to start with edible crafts cause y’all know that is where my heart lies! 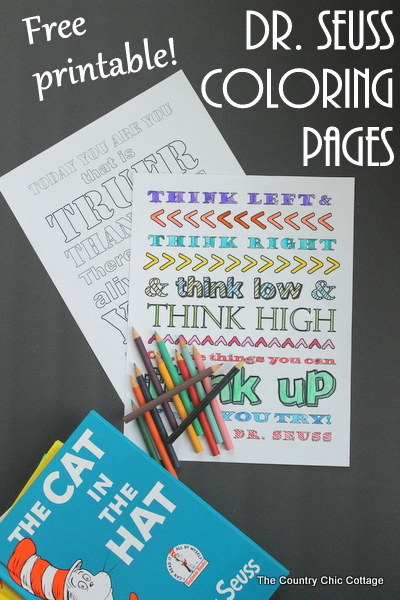 Next up is some fun free printable activities that you and your kids will enjoy. 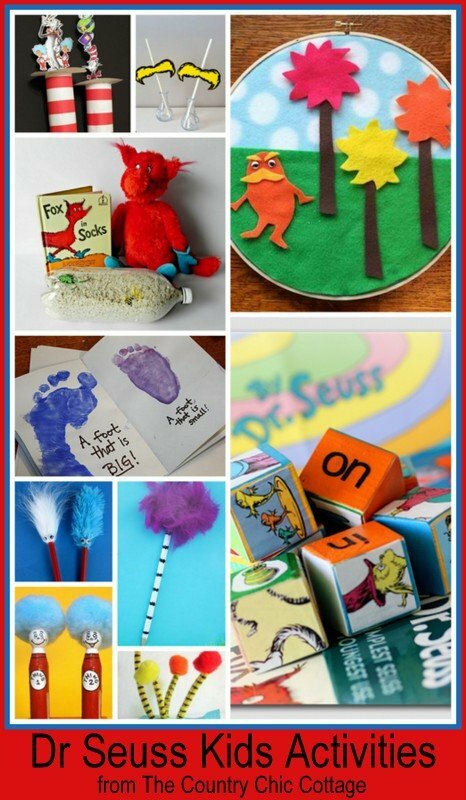 Now how about some crafty activities that you can make with and for your kids. 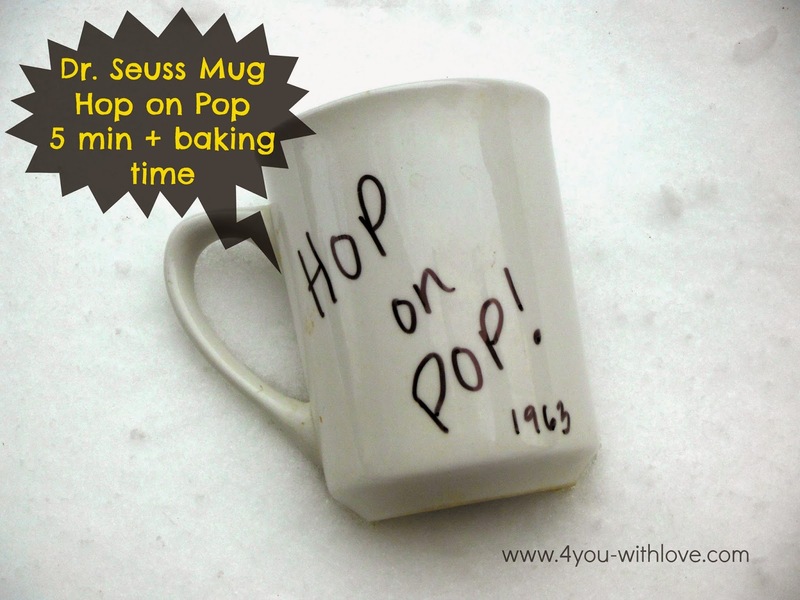 I know my kids adore Seuss and I am sure yours do as well. 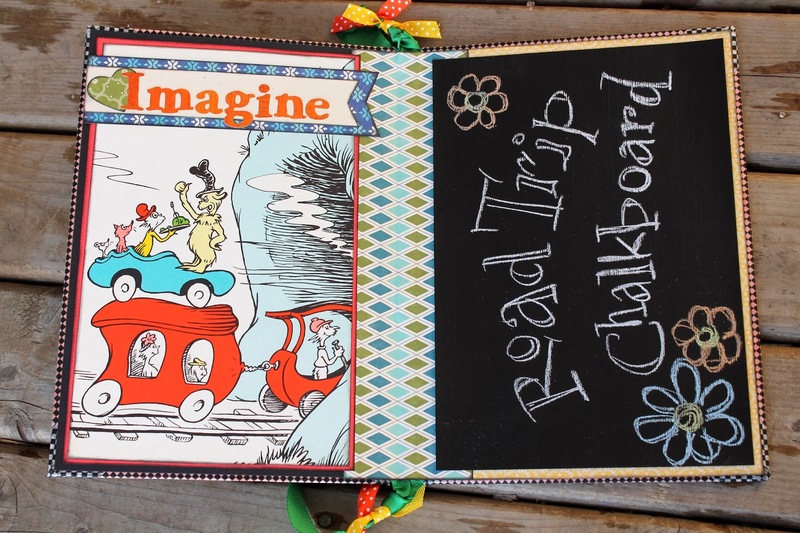 One of my favorite things to work on is decor for my children’s rooms. 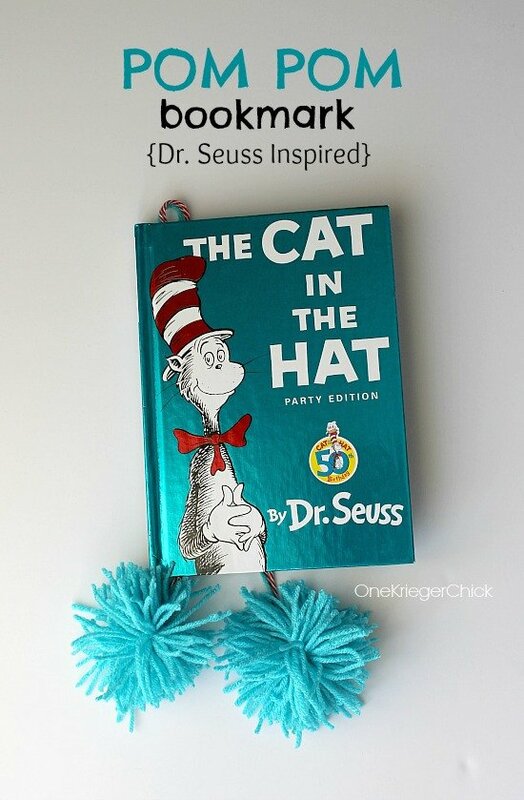 Here is a collection of Dr. Seuss themed decor to inspire you. 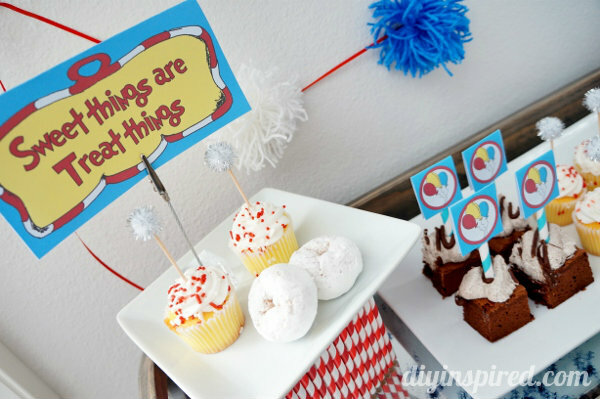 Nothing is better than a Dr. Seuss themed party. 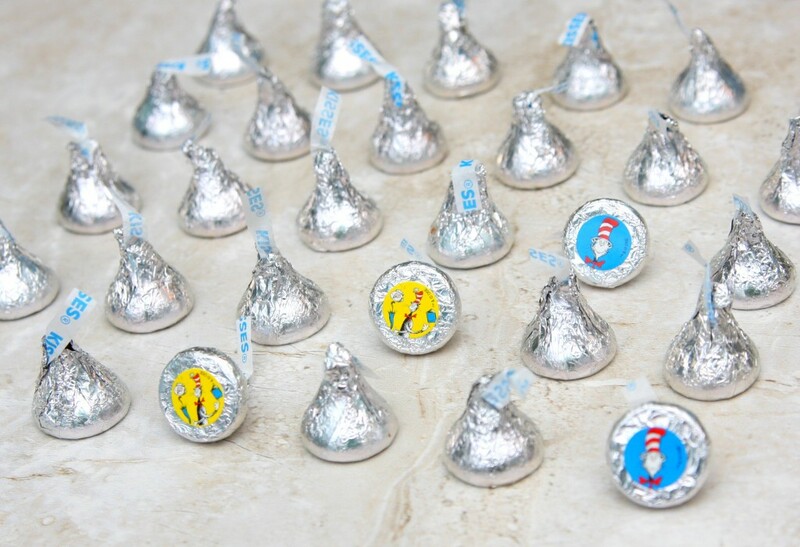 Come check out these party ideas to inspire your next bash. 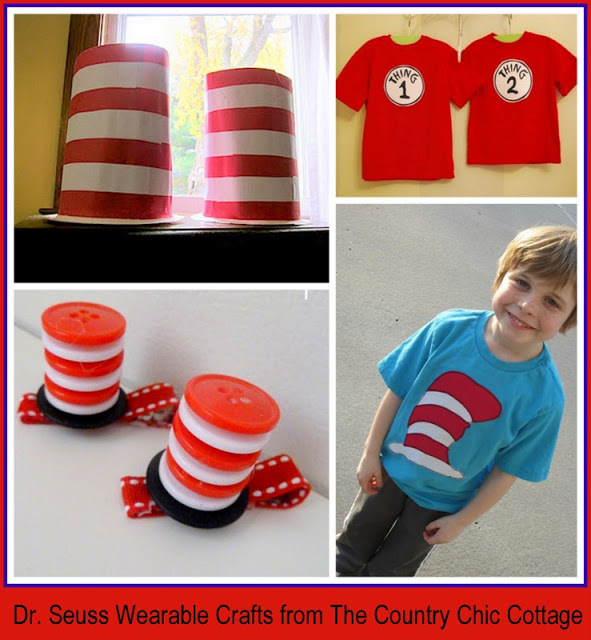 Last but not least, show off your fondness for all things Seuss by making your own items to wear. 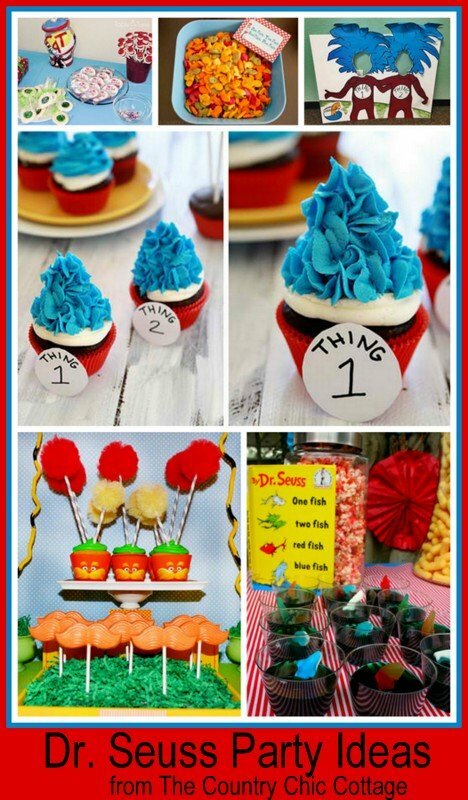 So click over to some of these tutorials and make your Dr. Seuss birthday celebration a huge success! 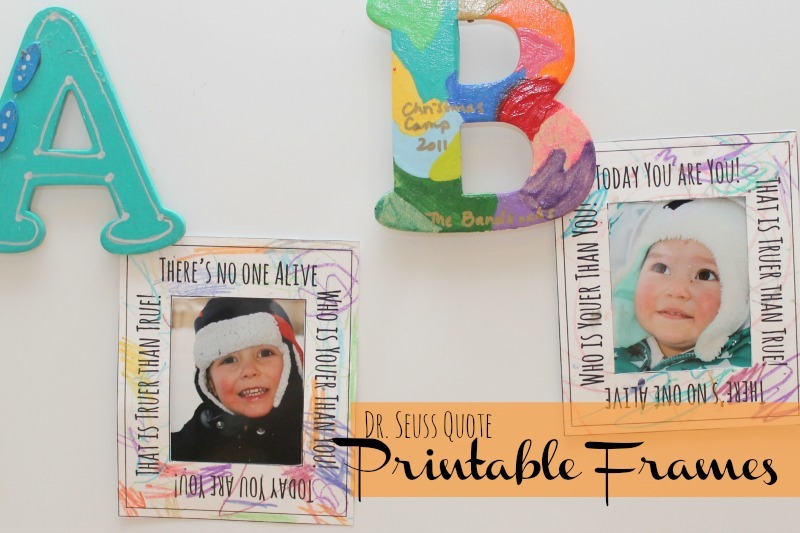 Whether you throw a party, make a treat, get crafty, do some activities with the kids, or just print off something fun — I know you will enjoy all of these Dr. Seuss activities! 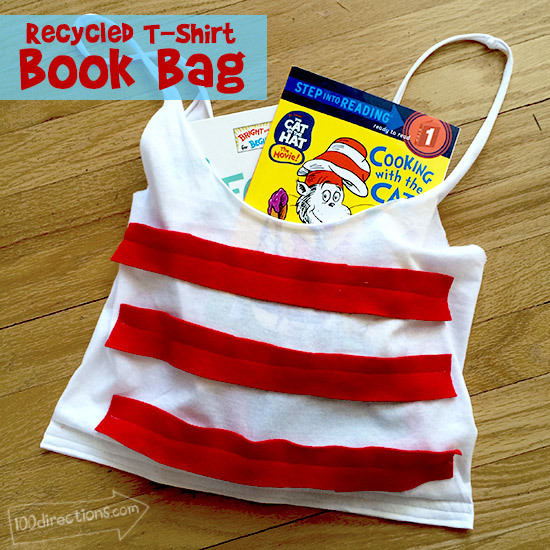 Do you love Dr. Seuss as much as I do? 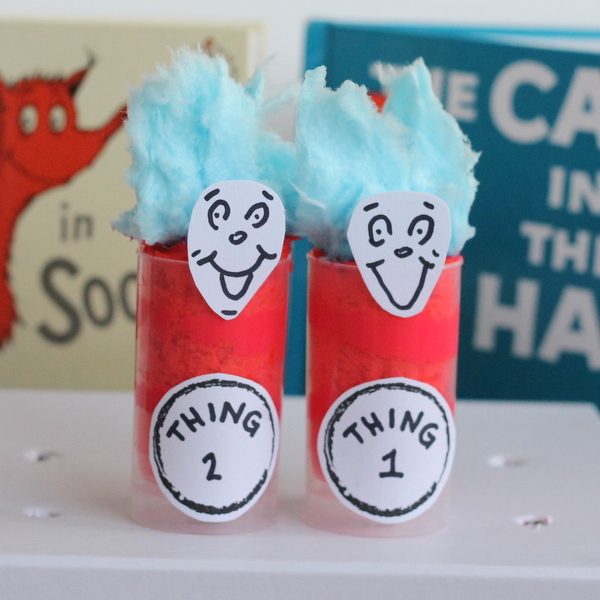 Yesterday I showed you my Dr. Seuss Birthday Treats Push Pop Cupcakes. 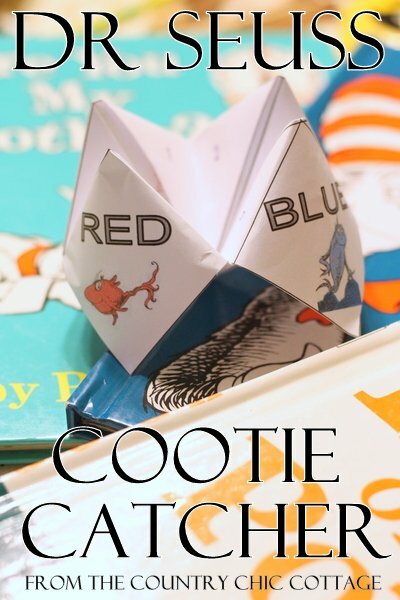 Today I have a free printable cootie catcher for you. 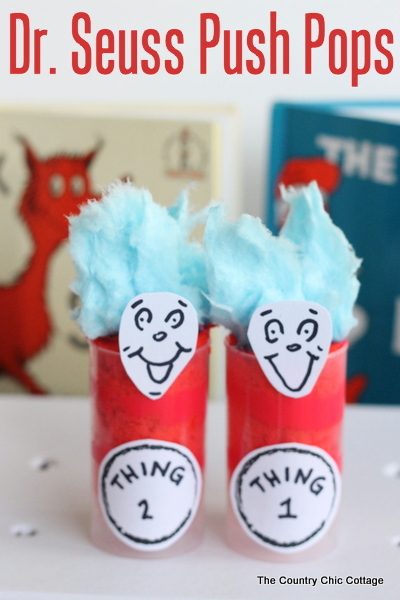 The perfect Dr. Seuss activity for your little ones. 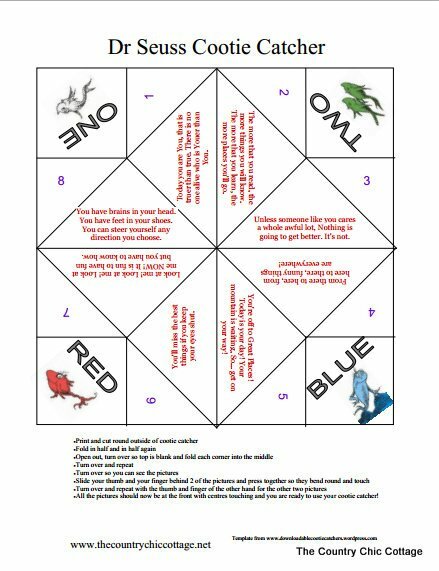 After my free printable Valentine’s Day cootie catcher, I have been infatuated with other ways to make a printable fortune teller. Don’t know what a cootie catcher is? Well let me explain…. Maybe now you remember just from the pictures? I think we all used to play with them as kids. Maybe you have heard it called a fortune teller. 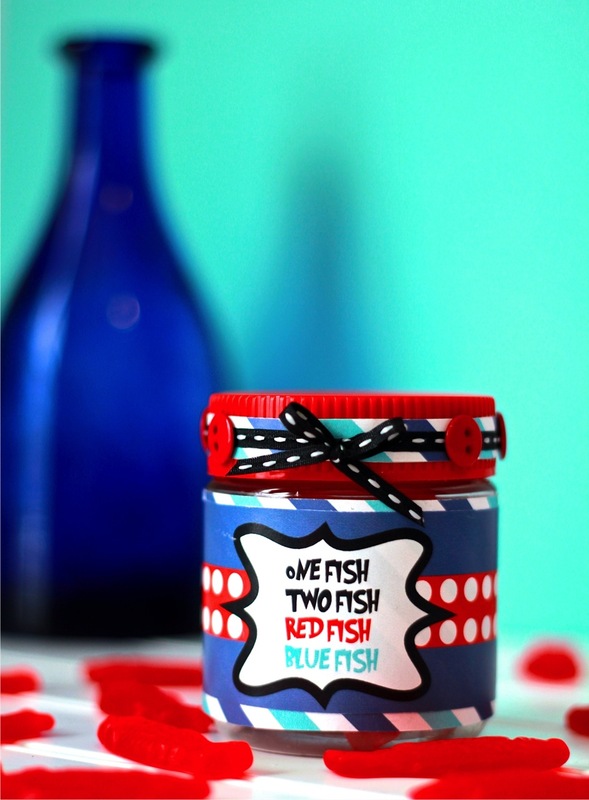 For this version you would pick a fish (either one, two, red, or blue). 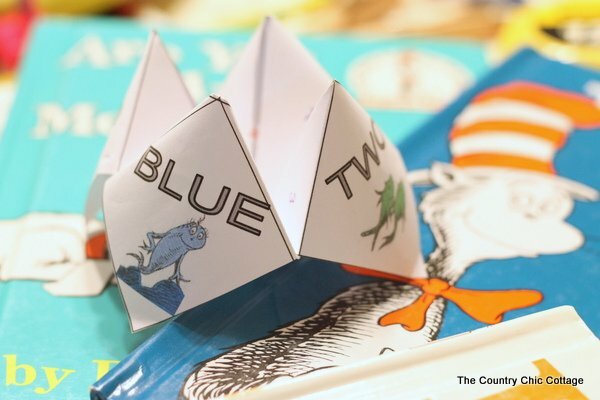 Then spell either one, two, red, or blue while going back and forth with the cootie catcher. Next pick a number. Again go back and forth but this time while counting. Then pick a number one more time. Lift that number flap and read what is inside. 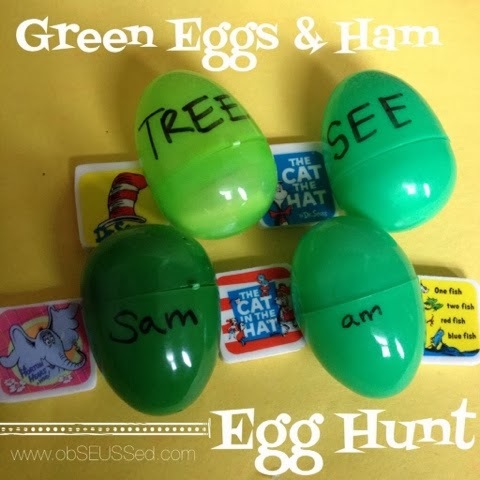 Okay that doesn’t sound like much fun but kids love these things! 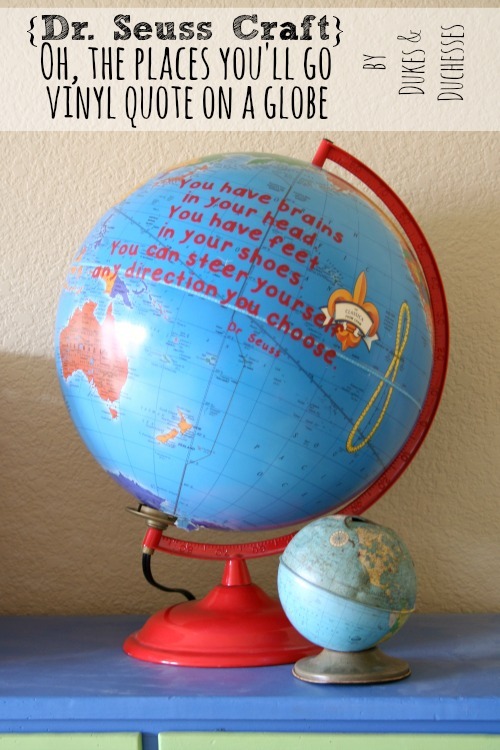 For this version, the “fortunes” inside are all inspirational Dr. Seuss quotes. You can use this as a tool to teach your kids about a great writer. Plus learn some great new quotes in the process. Fun and educational? 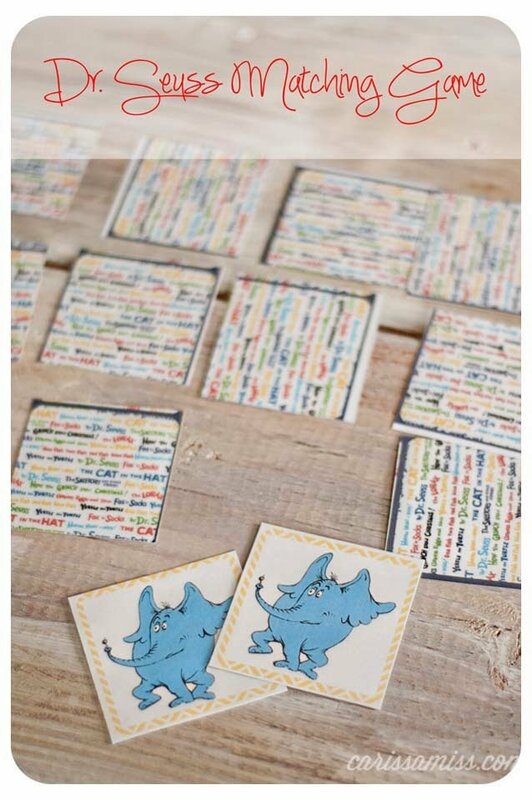 That is my kind of free printable. Head over and get your free printable version here and you can print a few or a bunch. (IF YOU HAVE TROUBLE DOWNLOADING CLICK HERE FOR ANOTHER VERSION.) There are folding instructions on the bottom but if you have trouble there is also a great description over on wikipedia (yes cootie catchers are even on wikipedia). I hope you and your kids enjoy this one. Have a great time March 2nd as well. What is March 2nd? 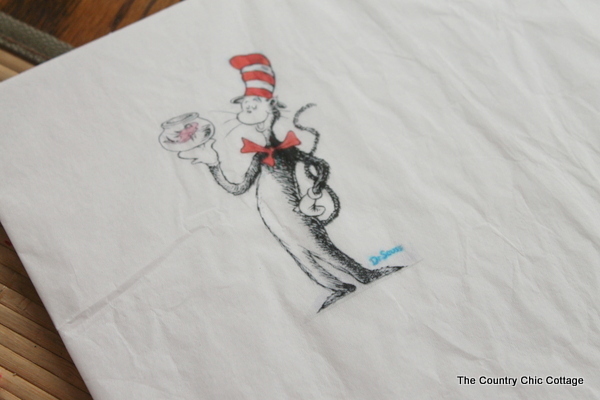 Why it is the birthday of the great Dr. Seuss! 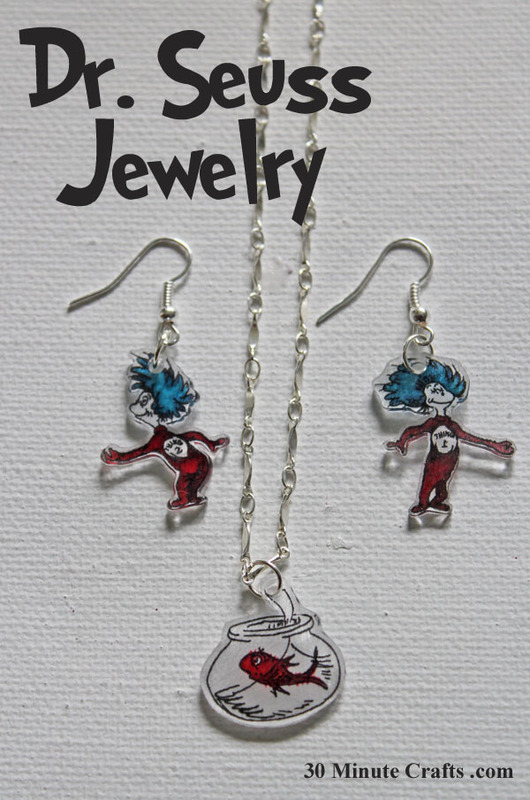 Love Dr. Seuss? Check out over 40 more ideas to help celebrate his birthday!